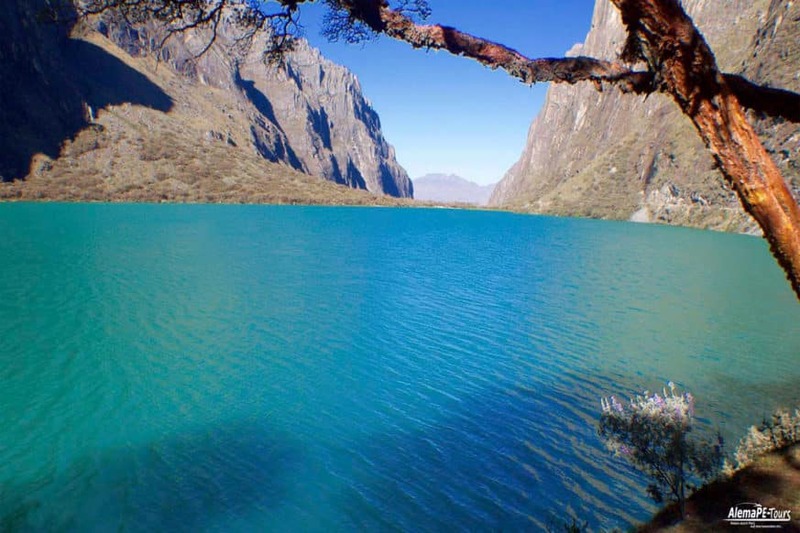 Two impressive lagoons of crystal clear and turquoise waters form the famous lagoons of the Llanganuco gorge or simply the Laguna de Llanganuco. 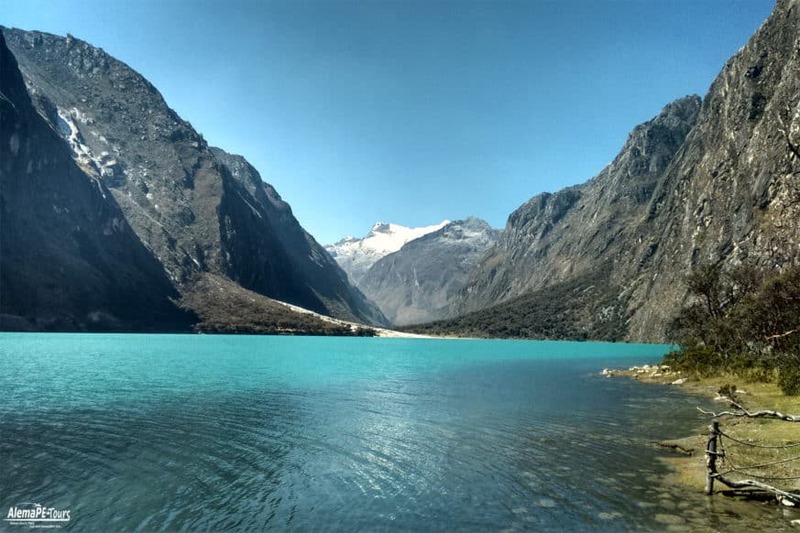 Located in the Huascarán National Park in the department of Ancash, 84 kilometers northwest of Huaraz and 25 kilometers from Yungay, the spectacular lagoons of Chinancocha (female lagoon) and Orconcocha (male lagoon) are positioned in a narrow valley between the Huascarán peaks. 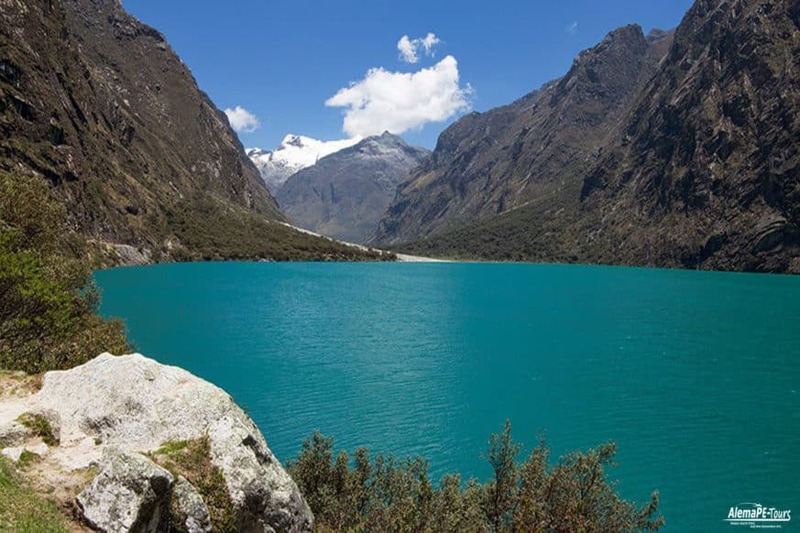 The crystalline waters of the Laguna de Llanganuco and the natural beauty around it are the main attractions for domestic and foreign tourists, who must climb to a height of 3,800 m.s. 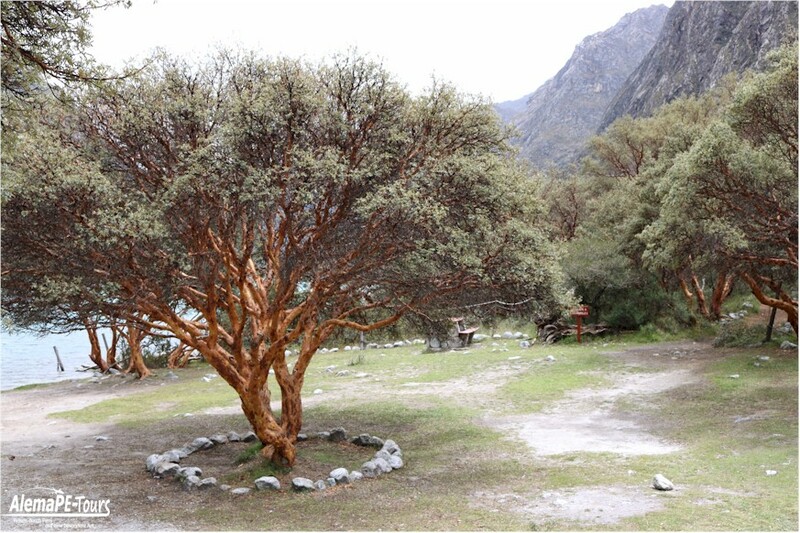 with average temperatures of 10 ° C or less, to witness this unforgettable natural scenery. 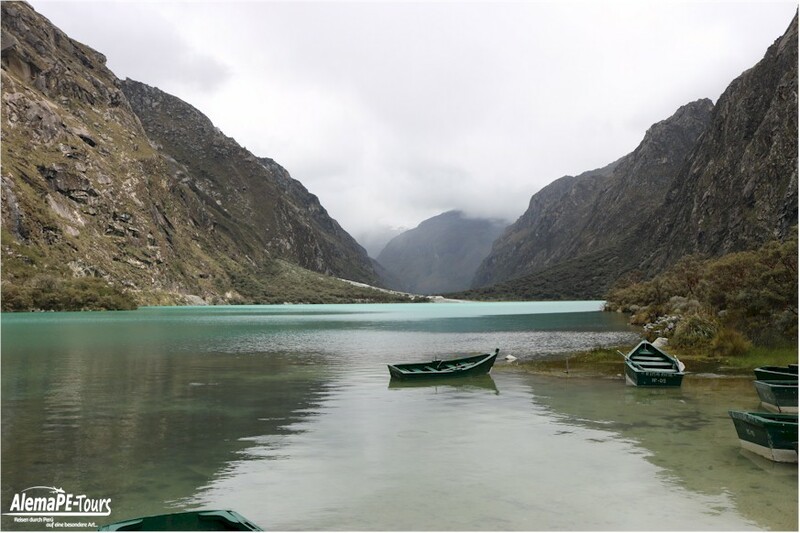 The lagoon of Chinancocha or lagoon female is the one that receives greater affluence of tourists when being located in the skirts of the Huascarán nevado (highest of Peru). 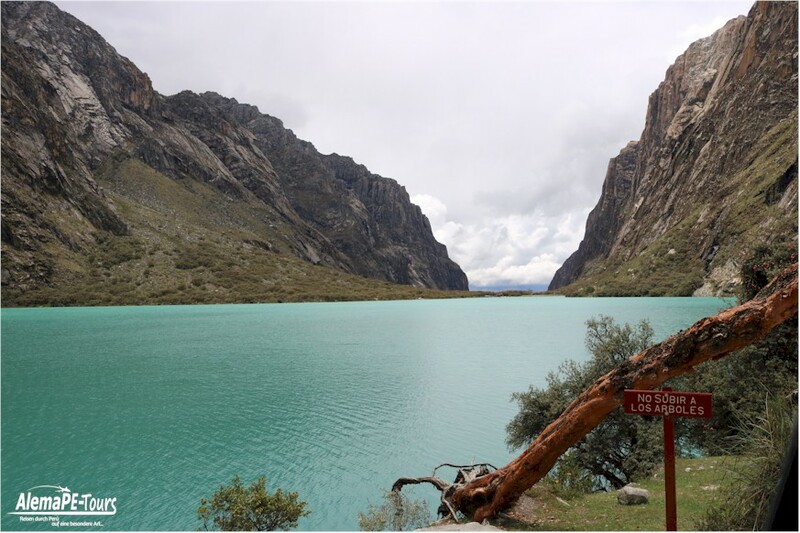 On the other hand, it has a length of 1,450 meters, a width of 393 meters, and a depth of 28 meters, these dimensions are adorned by the picturesque turquoise color of its waters and varied biodiversity of the area. 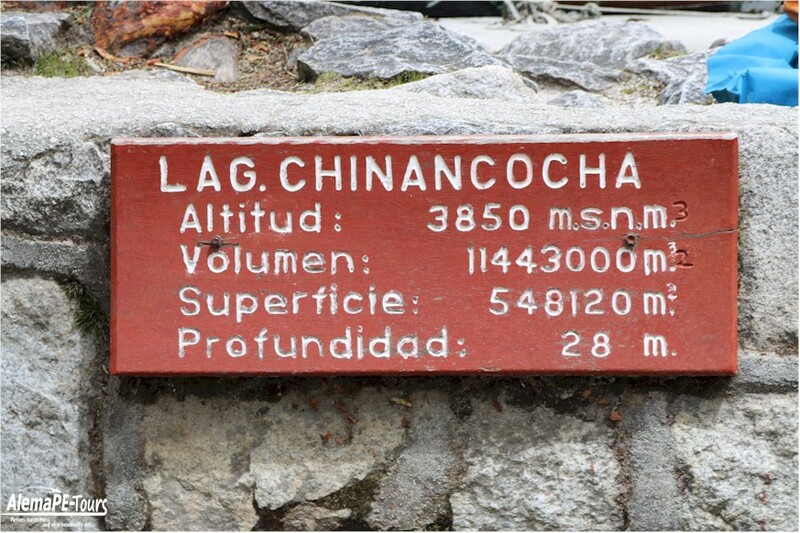 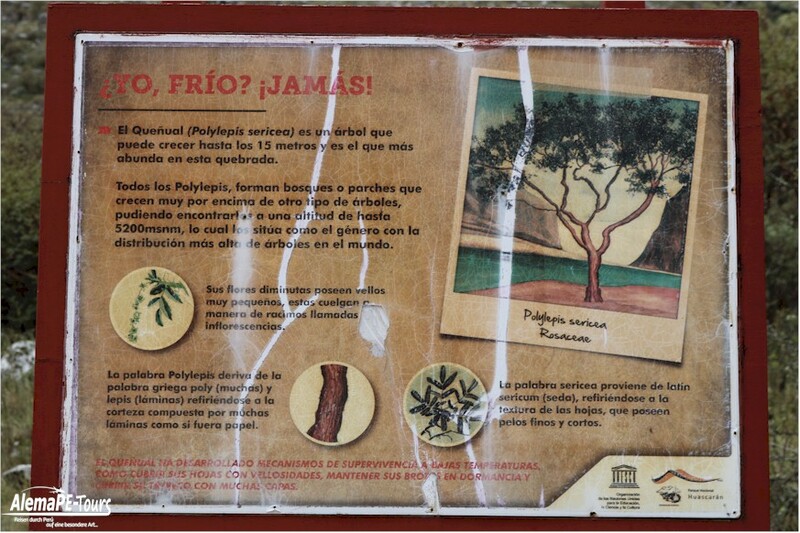 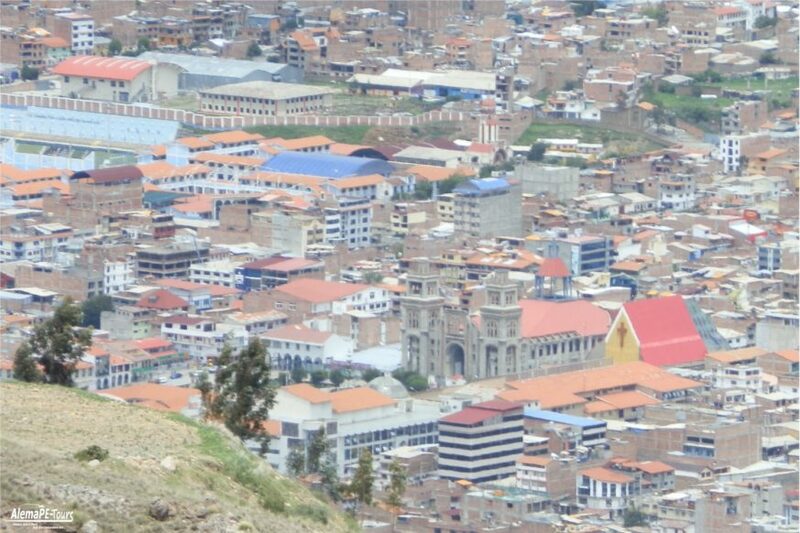 It is not accessible to conventional tourism because it is at a higher latitude, however, it is as beautiful as Chinancocha. 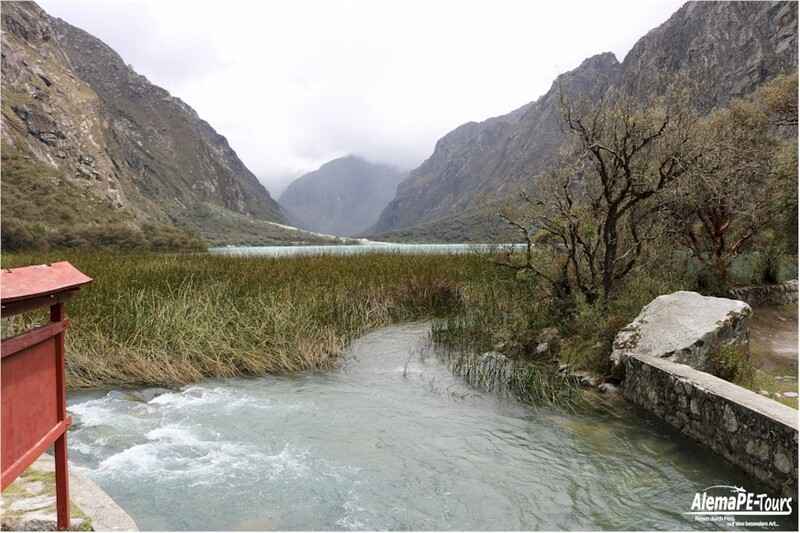 Its celestial waters are 910 meters long, 368 meters wide and approximately 7 meters deep. 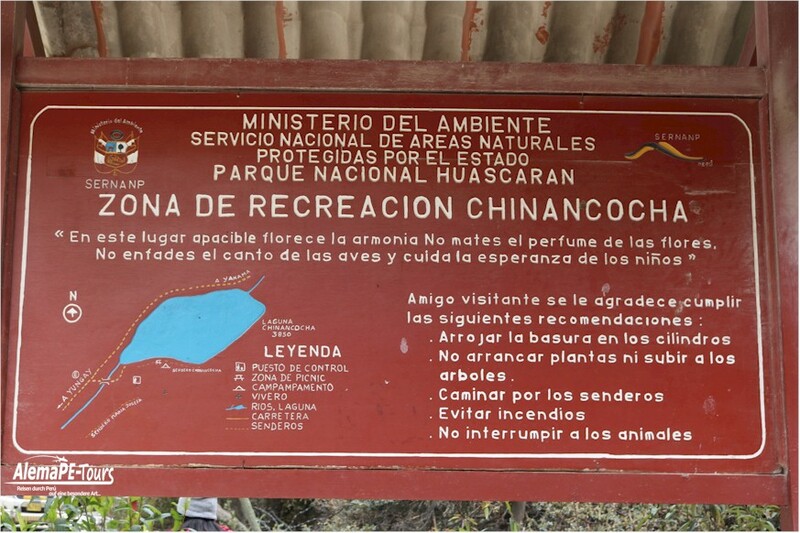 It is important to point out that, as it is a reserve zone, both lagoons are guarded by a group of the’Huascarán’ (Army of Peru) battalion. 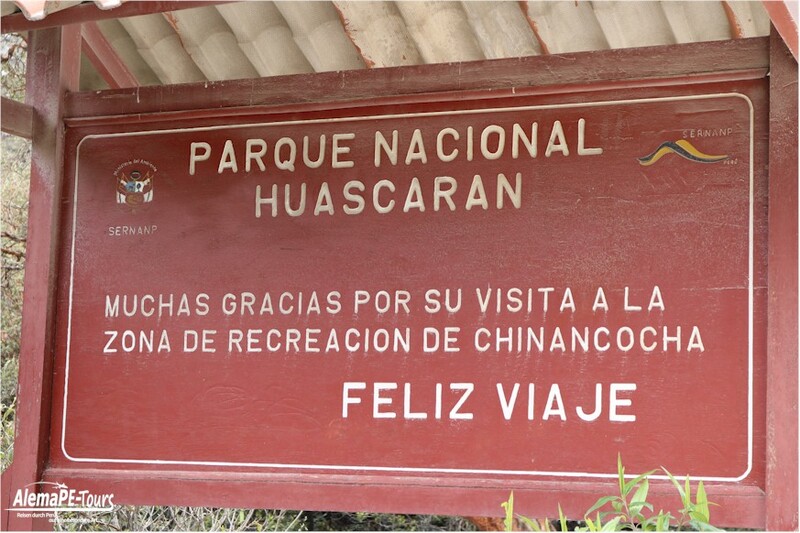 When navigating through the Chinancocha lagoon (female), tourists witness a great variety of flora and fauna. 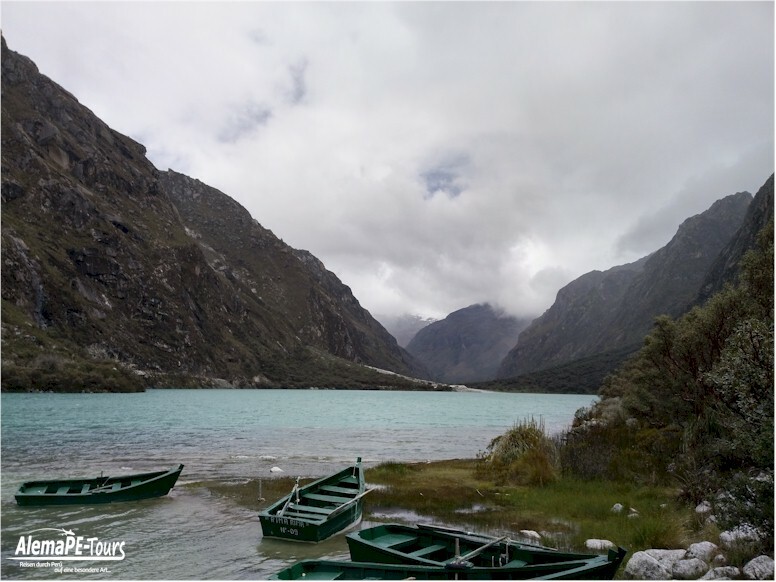 In its waters, you can see different wild ducks swimming near the boats and sticking to them. 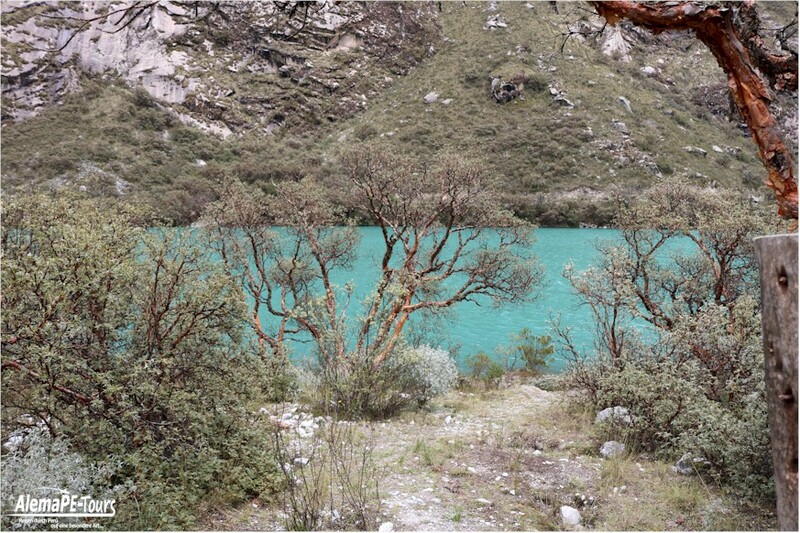 Something different happens with the lagoon Orconcocha (male), where navigation is forbidden by having a large number of wild birds that can be aggressive. 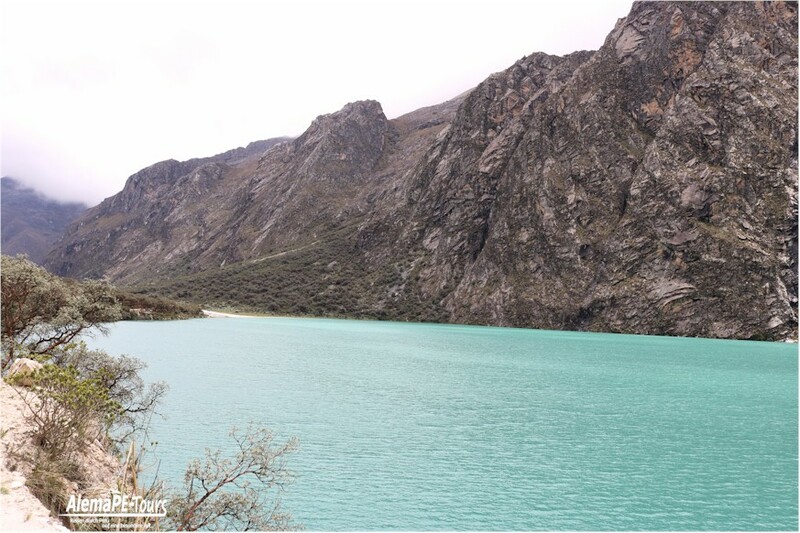 The Laguna de Llanganuco is one of the most famous natural paradises of the Peruvian highlands. 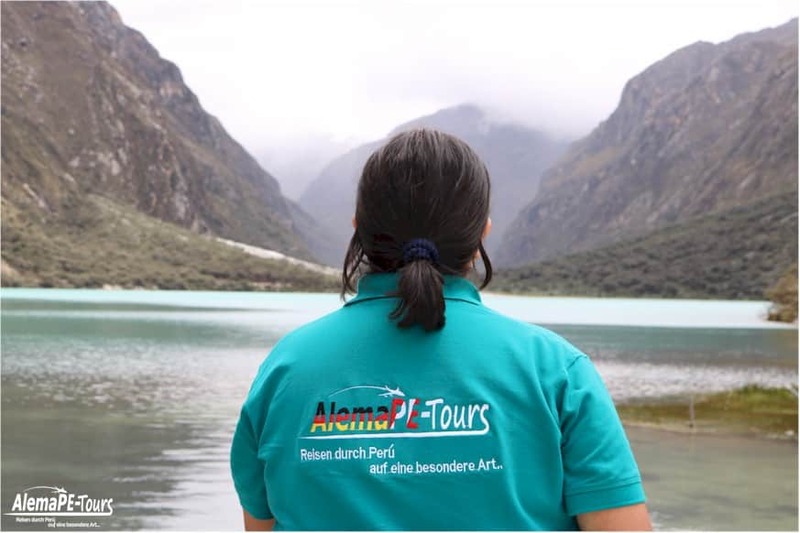 Attractive for adventure tourists who want to practice trekking to marvel and admire the turquoise and blue of its waters, the same that must be observed during the day so that the sun falls on them, showing beautiful colors and making even more spectacular the experience.